A delicious way to raise money! Enjoy delicious food in a fun atmosphere along with your family and friends while earning funds in support of SAGE! 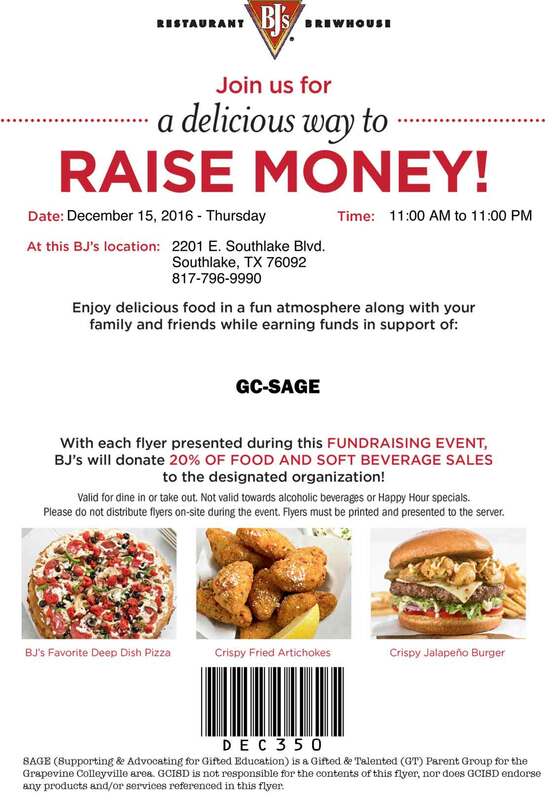 With each flyer presented, BJ’s will donate 20% of food and soft beverage sales to SAGE. Valid for dine in or take out.